Why You Should Be Selling Your Photography Services On Fiverr. Independent photography is a growing industry online. In case you haven’t heard of it, Fiverr is the largest marketplace for freelance digital services in the world. Fiverr is a great place to market your photography services online and make some additional income. Fiverr probably won’t become your main source of new business, but it can help to bridge the financial gap between projects for independent photographers. While there are tons of different types of photography services that you can offer on Fiverr, the easiest one to get started with is definitely product photography. 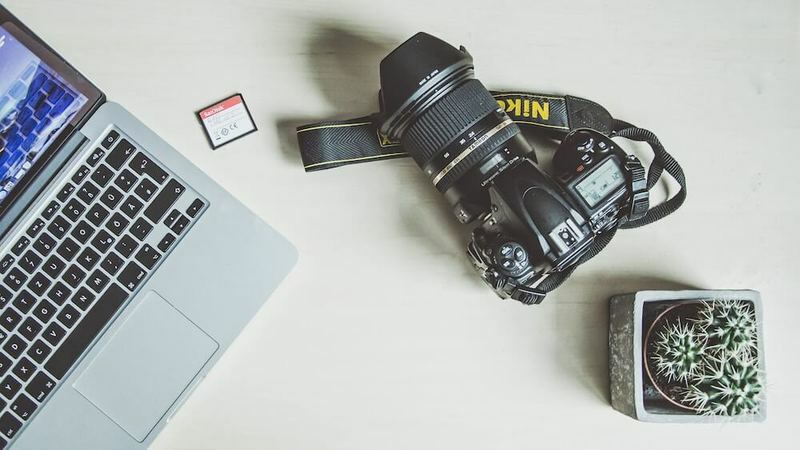 This article will go over what you will need to start selling product photography services on Fiverr so that you can take advantage of this growing market trend. Every company that sells things online needs to have high-quality pictures of their products. Product photography is an art form all unto itself. While it might not be the most glamorous work you can do in the industry, product photography is a money maker. The growth in product photography demand has been fueled by the recent explosion of independent online retailers that sell their products on sites like Amazon and eBay. As an independent photographer, you’re always looking for ways to make some extra cash. Sites like Fiverr allow you to market your photography services to people all over the country. Product photography works on Fiverr by someone finding your profile mailing you a product to photograph and then paying you for the photos you take. If it sounds simple that’s because it is. As your reputation and portfolio build on these sites, getting business will become easier. The hardest thing about working as an independent photographer is finding clients. Online product photography can be a great way to stabilize your income and allow you to focus on growing the other aspects of your photography business. The best way to differentiate yourself is through your work. The more quality and professionalism you can show through your work the more you can charge. You should also consider specializing in a specific type of photography service. Below are a few ideas for product photography services that you could choose to specialize in. Packshots: These are very high-quality close-up pictures of a product featuring its brand name and packaging. These are usually shot on a white background and are designed to give the customer as much detail about a product as possible. Group shots: As the name implies, group shots are pictures of collections of products. These take some artistic talent and aesthetic knowledge. Group shots are perfect for selling a primary product that has an array of accessories by giving the customer the impression that there are more things they need to fully enjoy their purchase. Lifestyle Shots: Images of a product in its natural environment give consumers a better idea of how it could fit into their lives. These pictures could show the product being used by models or in a home. All of this is meaningless however if you can’t produce high-quality photos. One of the best ways to ensure the quality of your work is to take your product photos in a professional photo studio. Product photography is one of those categories of photography that really needs to be done in a studio in order to be effective. If you’re an independent photographer then you might not have a studio of your own yet, in which case you’ll need to rent one. Before making the commitment to rent a studio, try to line up a few projects if you can so you can get them all done at once. Maximizing the time that you spend in the studio will help you to keep your project profitable and your clients happy. One thing that can be really helpful is to plan out all of your shots ahead of time. You can make a plan as quickly and easily as writing it down in a notebook, or you could decide to use project management software as well. The most important thing is that you set yourself up for success after you actually get in the studio. Selling photography services on Fiverr is a great way to make some extra cash on the side. There are a ton of different types of photography you can decide to specialize in but by far the most marketable in product photography. Most of the time you’ll be able to pull off the jobs without needing to rent out a studio space, but make sure you know of one nearby in case you land a job that requires a high level of precision.